Hey there friends! Can you believe another holiday is already upon us?!?! I don’t know about you but I love the 4th of July. Family, BBQ, camping, parties, fireworks… it doesn’t get any better than that! Today I’m here to share with you a fun 4th of July printable as part of the Red, White, & Blue ULTIMATE Blog Hop! Be sure to look at all of the projects at the bottom of this post! 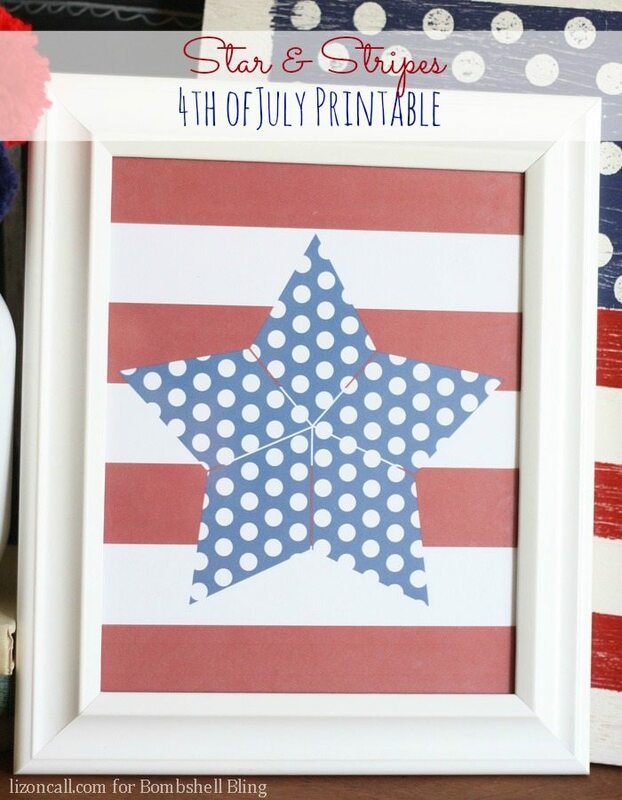 I think this 4th of July printable fits just perfectly with my other red, white and blue decor. You know I love sharing my printables with all the fab Bombshell Bling readers. You can download this print using the link below. Please remember all printables are for personal use only. Now on to the blog hop! So many great ideas! 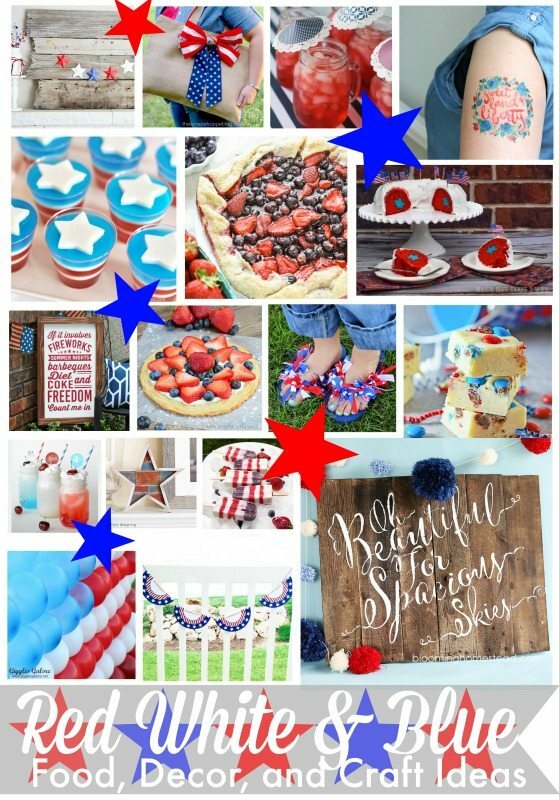 Be sure to check out our 4th of July collaborative Pinterest board as well! 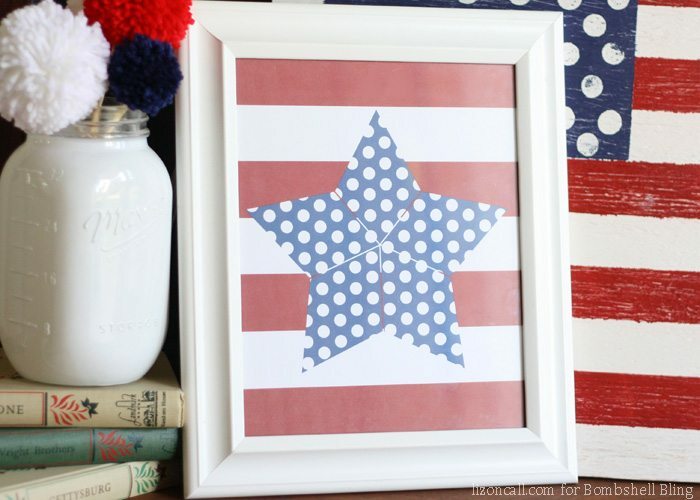 Love, love, love this patriotic printable! Thanks so much for sharing it! I’ve downloaded, pinned, and tweeted it. CUTE!! I love this printable! Thanks for sharing with us at the Motivational Monday link party! I hope you’ll join us again this week!